It has been a really crazy busy two months since we tore out our kitchen and then decided to change things in the middle of the re-model. Well I am getting back on track and actually have several really great blog posts lined up for you all. A great way to use those frozen vegetables you have put up from your garden all summer. Today I plan on sharing with you how we got along in our kitchen with out a real place to prepare dinners and work space to prep things. The only thing that was left in our kitchen for about 4 weeks was a sink and the stove. That’s it! 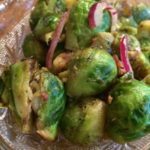 No counter tops to prepare dinner on, it was hard but I learned how to use my stove in creative ways that actually turned out delicious meals that the entire family loved. I used very simple ingredients and just used my imagination. I had lots of vegetables in the freezer that I could use but I was at a loss for how to prepare them because I only had my table to prepare things on. Here is what I did to make delicious tasting meals quick and easy. 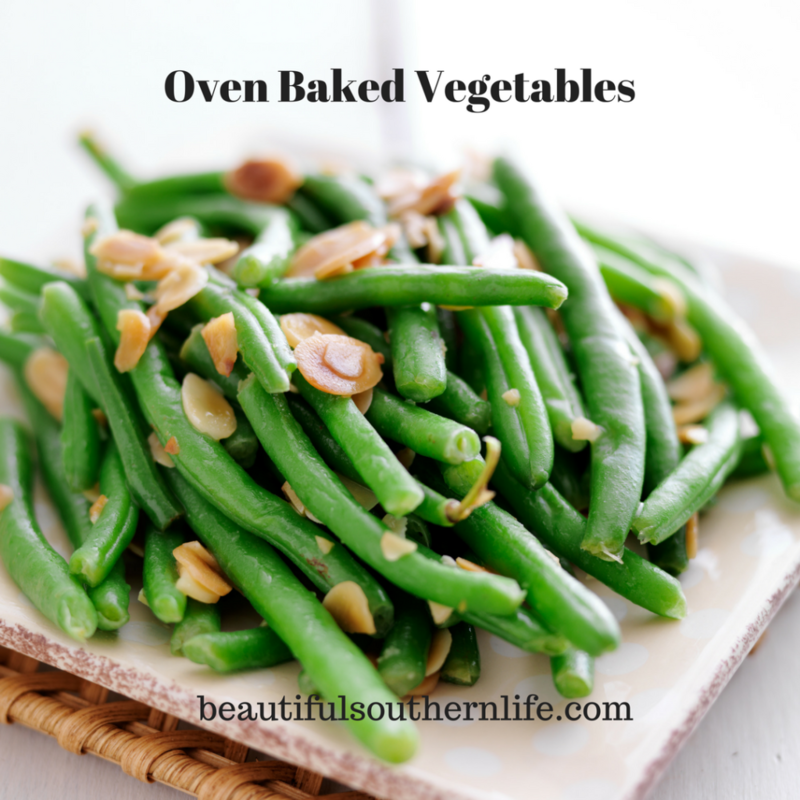 I would defrost a bag of vegetables like green beans, brussel sprouts, or our families favorite Italian green beans. use about a 4th of an onion slices thinly and put in a small 8 x 8 pan. put the vegetables in the pan, added salt, pepper, onion salt, garlic and garlic salt and Old Bay seasoning. Mix and bake covered for about 30 minutes. Uncover and bake for about 10 minutes. This turned out some of the best vegetables we have eaten. It was so quick and easy to do and everyone loved them. Here is the recipe you can add to your cook book. Chop onion and garlic and bacon put in 8 x 8 pan and add vegetables, spices mix together. Bake at 350 for about 30 minutes covered then take out mix vegetables and put back in oven uncovered for about 10 minutes more. There are so many ways you can prepare your fresh and frozen vegetables, you can add different varieties of mushrooms, varieties of cheeses, fresh herbs and spices to add a new layer of taste to your dish. You can mix vegetables for a totally unique dish or you can use fresh vegetables and fresh herbs and spices to create your own signature dish. I would love to hear how you have taken vegetables and created your own unique dish, be sure to stop back by and share your recipe with us. Next time you are pushed for time to get dinner on the table try this recipe I am sure you will love it. These sound delicious! Thanks for linking up with the Homestead Blog Hop! Make sure to link your posts next time for a chance to be featured!